Since the turn of the 21st century, Arab states and societies have witnessed an increasing debate over Islam. Middle Eastern and North African states lost their long-held grip over the religious domain, which they controlled until recently through their oversight of mosques and of public and private media. Morocco, however, has regained control by implementing a set of national policies that others in the region would do well to emulate. In the 1970s, widespread economic failures in the Middle East and North Africa as well as the rise of political Islam contributed to misgivings among young people about the ability of their governments to offer new economic, cultural, and political alternatives, and to their loss of faith in state-sanctioned Islamic ideologies. By the late 1980s, independent Islamic preachers emerged and contested the Islamic discourse of official state institutions and challenged the jurisprudence of scholars tied to government centers of Islamic learning. Today, the post 9/11 rise of Jihadist groups in the region demonstrates that Islamic education overseen by governments is in crisis. Independent preachers promoting Jihadist views have outmuscled official scholars; they have successfully enlisted the support of a growing number of disenfranchised and unemployed youth, steering them toward AQIM, ISIS and other extremist groups. In this context, Morocco's government has not only paid attention to the rise of independent preachers but it has been proactive in curbing their influence by controlling their production of fatwas and limiting their access and control of mosques. To counter extremist messages, the government also supervises the training of moderate scholars and preachers. As a result, Morocco enjoys relative political stability. The program is designed to curb the rise of extremism given that traditional methods of Islamic teaching are being bypassed by politically-driven and savvy independent preachers. Some of these independent preachers work in European mosques outside the control of the Ministry of Religious Affairs and outside the control of their European host-states despite clashes over human rights and freedom of speech. Many countries have already signed agreement with Morocco's government to train their Imams including France, Belgium, Tunisia, Gabon, Ivory Coast, the Maldives, Libya, Mali, and Guinea. It is important to note that historical Imam-training institutions like al-Zaytuna (Tunisia), al-Azhar (Egypt) and al-Qarawiyyin (Morocco) are not directly involved in this endeavor. In the case of al-Azhar, Gamal Abdel Nasser's ideological war against the Muslim Brotherhood of Egypt during the 1950s led to al-Azhar being nationalized and transformed into a center of learning for many African students of Islam. Today, however, the educational curriculum of al-Azhar and of other state-sanctioned religious institutions are not only incompatible with discourses of tolerance and the new realities of a globalized world but also with the social and cultural upbringings of many young people in multi-religious countries. Morocco began its “Islamic reform” in the aftermath of the 2003 Casablanca suicide bombings. These attacks were carried by men from the shanty town of Sidi Moumen, a suburb of Casablanca. Independent preachers linked to the Salafiya Jihadiya, an affiliate of al-Qa‘ida, were believed to have inspired the men behind the terrorist acts. Since then, Morocco's struggle for control of Islamic discourse has taken different shapes and routes. After establishing an official religious infrastructure to train male and female preachers, the government focused on rethinking the Islamic message itself and challenging themes such as inheritance, marriage, veiling, etc. The government has been careful not to outlaw core Islamic principles despite the recent call by Morocco’s National Human Rights Council to rethink the principles of inheritance. Nonetheless, it has been attentive to issues with broader regional and international implications including the rights of religious minorities in Islamic countries. The conference on the rights of minorities in the Islamic world held in Marrakesh earlier this year is a continuation of the government’s message of tolerance. In addition to such initiatives, King Mohammed VI recently instructed his ministers of education and Islamic affairs to re-evaluate the religious textbooks used in public schools. The introduction of values consistent with a tolerant Islam to K-12 students is thought to be the last major component of the government’s strategy to fight religious extremism. Historically Morocco has considered itself a bastion of religious tolerance in the Arab and Islamic worlds. This perception is largely built around the peaceful co-existence of Jews and Muslims in urban and rural regions throughout the country. After Independence the monarchy showed, through its policies and actions, its commitment to the safety of its Jewish minority despite some intermittent cases where individual rights were abused. Morocco has also constructed its project as a model and continuation of the Andalusian Convivencia, claiming for itself leadership in securing religious tolerance in the Arab world. The training of a moderate cadre of local and international Imams is a new stage in the history of Islam in Morocco. Aware that the outside world, especially today, is in dire need of its project of toleration, Morocco is not shy about advertising and selling it. The question—which only time will answer—is how many youths this message will reach and how successful it will be at competing with messages from ISIS and al-Qa‘ida's preachers. Eickelman Dale F. and Jon W. Anderson. New Media in the Muslim World: The Emerging Public Sphere. Bloomington, Indiana: Indiana University Press, 2003. Gaffney, Patrick D. The Prophet's Pulpit: Islamic Preaching in Contemporary Egypt. Berkeley: University of California Press, 1994. Hirschkind, Charles. The Ethical Soundscape: Cassette Sermons and Islamic Counterpublics. New York: Columbia University Press, 2006. El Achraf, Hassan. “Tajribat al-Murshidat ad-Diniyat bi al-Maghreb: Siyaqat wa Ikrahat.” Hespress, January 21, 2010. El Haitami, Meriem. “Restructuring Female Religious Authority: State-Sponsored Women Religious Guides (Murshidat) and Scholars (’Alimat) in Contemporary Morocco.” Mediterranean Studies 20:2 (2012):227-240. Maghraoui, Driss “The Strengths and Limits of Religious Reforms in Morocco.” Mediterranean Politics 14:2 (2009):195–211. Wainscotta, Ann Marie. “Defending Islamic education: War on Terror discourse and religious education in twenty-first-century Morocco.” The Journal of North African Studies 20:4 (2015):635-653. Image Credit: Thomas Hawk / flickr creative commons. 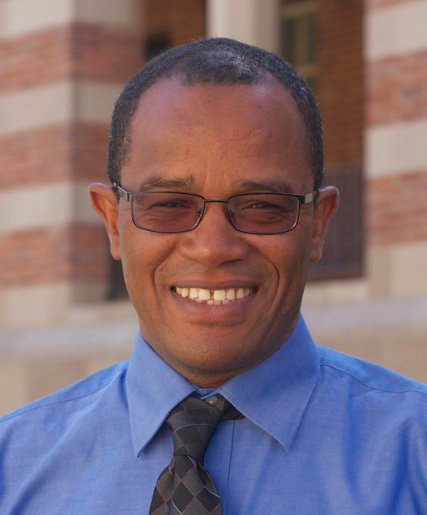 Author, Aomar Boum, is Assistant Professor of Anthropology at UCLA. He specializes in ethnic and religious minorities in the Middle East and North Africa. He is the author of Memories of Absence: How Muslims Remember Jews in Morocco (Stanford University, 2013).